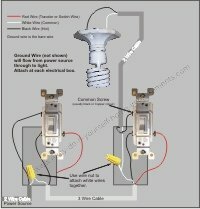 Here is an easy to follow split plug wiring diagram. 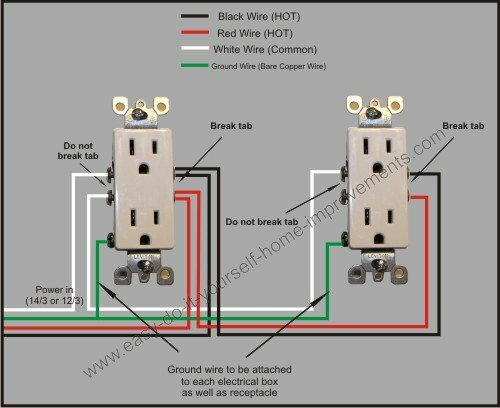 Wiring a receptacle is another basic wiring project. 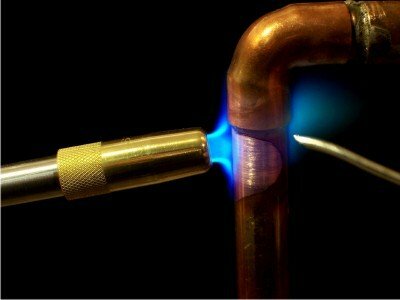 You can use the same wiring technique with 14/3 or 12/3 gage wire. Having trouble wiring, need some advice...don't hesitate to contact us. 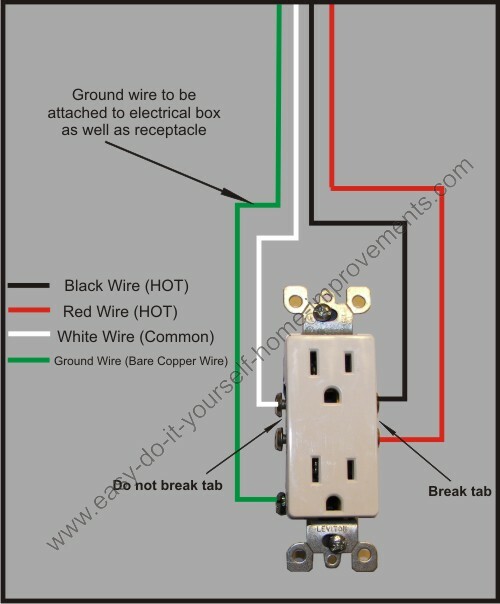 You can also branch off an existing split receptacle by simply matching colors to the existing plug. 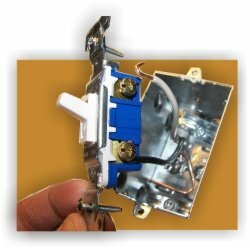 When wiring a split receptacle this way, use the "quick connect" holes at the back of the plug or "pigtail" the wires to the side screws.